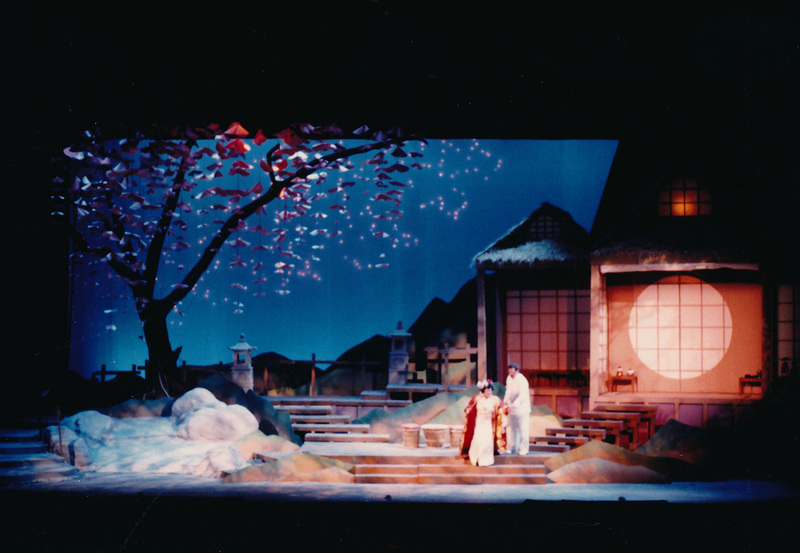 This production of MADAME BUTTERFLY was produced by the School of Music at Brigham Young University in the deJong Concert Hall. It was directed by Tad Danielewski. 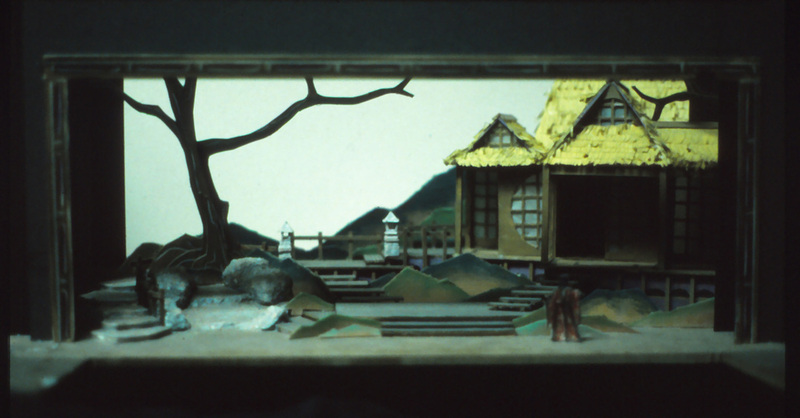 Presented as a classical approach to this well-known opera, the scenic design stayed with strong oriental detailing. 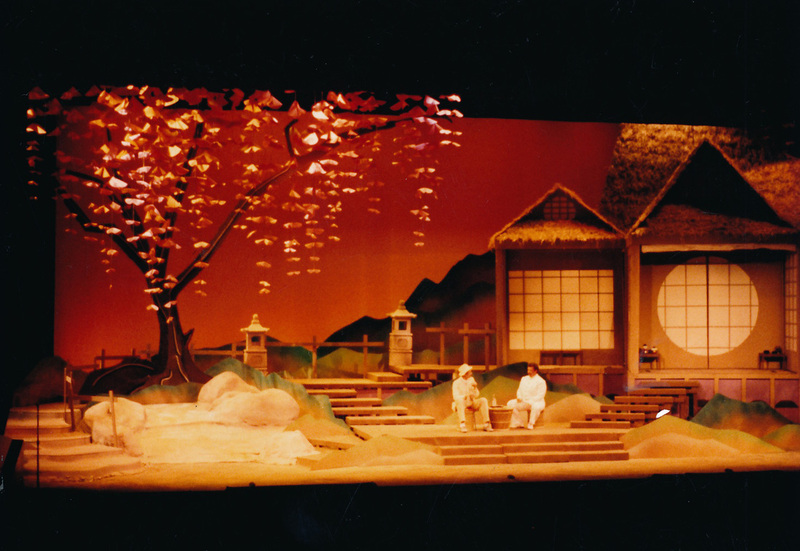 The large tree stage right had two different seasonal foliage drops, one with the full blossoms of spring. The sliding walls of the house allowed for revealing internal scenes and possible backlit silhouettes for important moments.